Points to the Phoenix Airport 30 miles to the west. 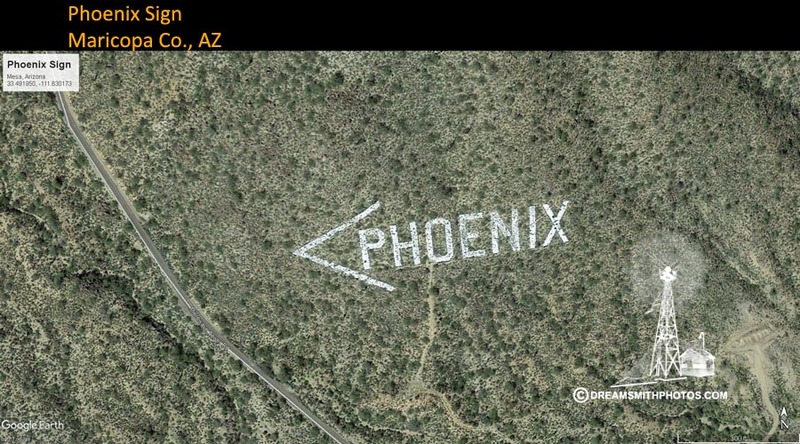 Has photos and says that the arrow sign was created by the Boy Scouts in the 1950's. Nice article about how the Boy Scouts spent 5 1/2 years building the arrow sign. Has a close-up of the 100 foot P. A massive amount of rock was used to create the air marker.